Sunset Arch, in the Grand Staircase-Escalante National Monument, is located about a mile south of the Fortymile Ridge Road. It is visible from the road and can be easily reached by hiking cross-country. 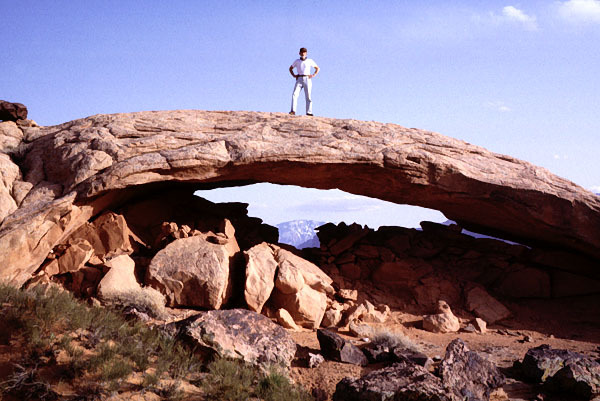 Another arch (shown below) is a short distance south and visible from Sunset Arch. 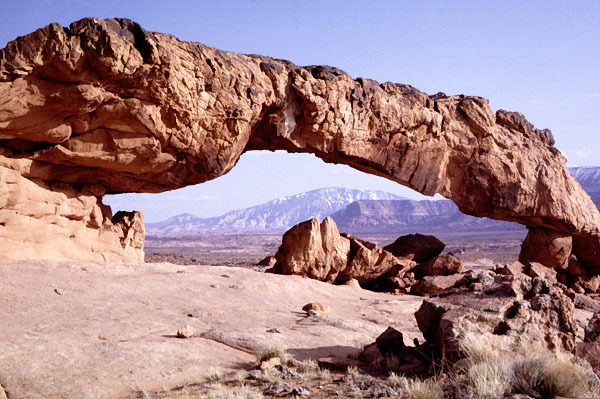 This arch is appropriately called Moonrise Arch in the book Arches of the Escalante Canyons and Kaiparowits Plateau. Photos by David Brandt-Erichsen.